Last winter when I went to Europe, I was too cheapskate to buy the expensive five-country rail pass. It was $678 for 20 days, not including Poland. Ridiculously overpriced, because even my Jakarta-Paris-Jakarta flight only costed me $750! I must find a cheaper way to travel in that goddamn continent, I said to myself. Traveling shouldn’t be this expensive, and I’m sure I’m not the only cheapskate traveler in the universe. I was correct. I found some other ways to wander Europe without spending extravagant amount of money, even without spending money at all! It proved once again that you don’t have to be filthy rich to travel. I heard about “hitchhiking” so many times in my life. I knew it from some people who’d stopped a car in the middle of the road and got picked for free by a random driver who shared the same destination. I also knew it from a suspense movie I watched on HBO, where a psychotic hitchhiker brutally killed the hitchers (car owners). I’d tried hitchhiking once. It was accidental actually, when I was lost in Battambang (a tiny town in Cambodia) and had no other choice but stopping passing vehicles. Europe sounds “safer” than Cambodia, so I thought hitchhiking in Europe would be a piece of cake for me. But no, it wasn’t that easy. After landing from my 17 hours flight, I’d waited for three freezing hours at Charles de Gaulle Airport’s parking lot in Paris but I couldn’t find anyone driving to Stuttgart (Germany), my first destination. Maybe I was just stupid, who drives all the from Paris to Stuttgart anyway? I gave up and went to a bus terminal in another side of Paris. Ticket to Stuttgart was sold out; the only available option was going to Köln (Germany), staying there for a night, and going to Stuttgart by another bus in the next morning. I took that option by buying a $21.5 Eurolines bus ticket to Köln. 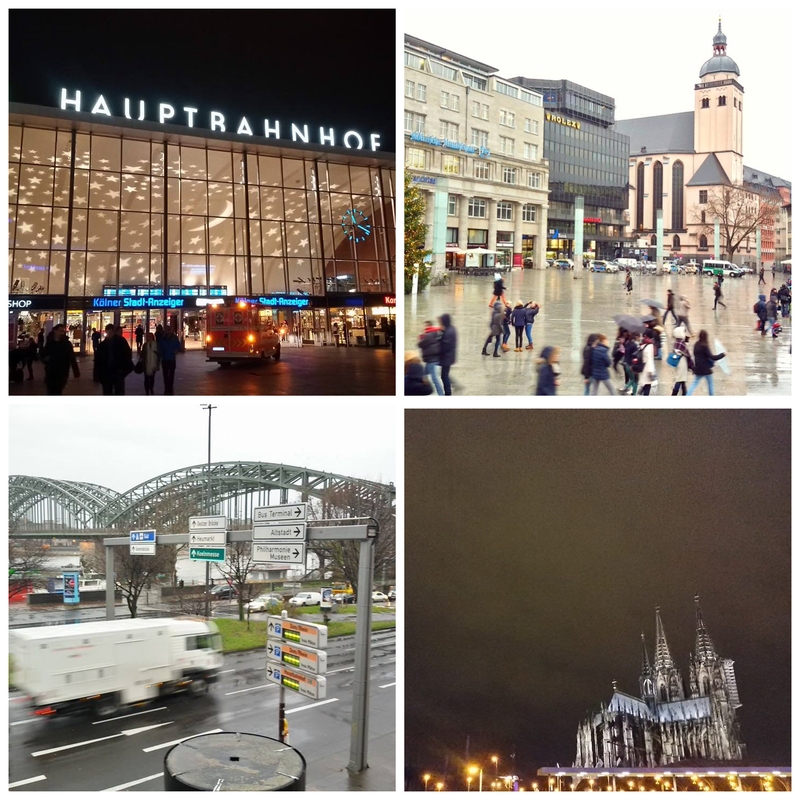 It wasn’t a bad luck, because Köln turned out to be an incredible city with amazing buildings, astonishing Christmas market, beautiful riverside, and friendly people. I even regretted why I spent one night only there. I’ll be back, one day. A few months before this trip, I went to Kuala Lumpur with a friend. In the bus from the airport to the city center, I had a conversation with a Spanish guy who sat next to me. I told him I was about to go to Europe, and he told me to use Europe’s most trusted ride-sharing website if I don’t want to buy the expensive train tickets. The website’s called BlaBlaCar, it connects people who need to travel with drivers who have empty seats. It’s just like the Airbnb for transportation. We only need to sign up and input our travel plan (date & route). The website will show us some people who will be driving on the same route and date, plus how much they will charge us for joining their ride. That morning in Köln, I got a confirmation from a German lady named Pia Rommel. She was about to drive from Köln to Stuttgart, her hometown, to celebrate Christmas with family. She charged me $15 for the four-hour ride (read: $70 cheaper than a three-hour train ride). She was very friendly and insightful. I told her about my one-week plan of Christmas market hopping in Germany and she gave me some food list I had to try. And that included glühwein, a hot red wine with citrus and various spices that’s only available during winter. 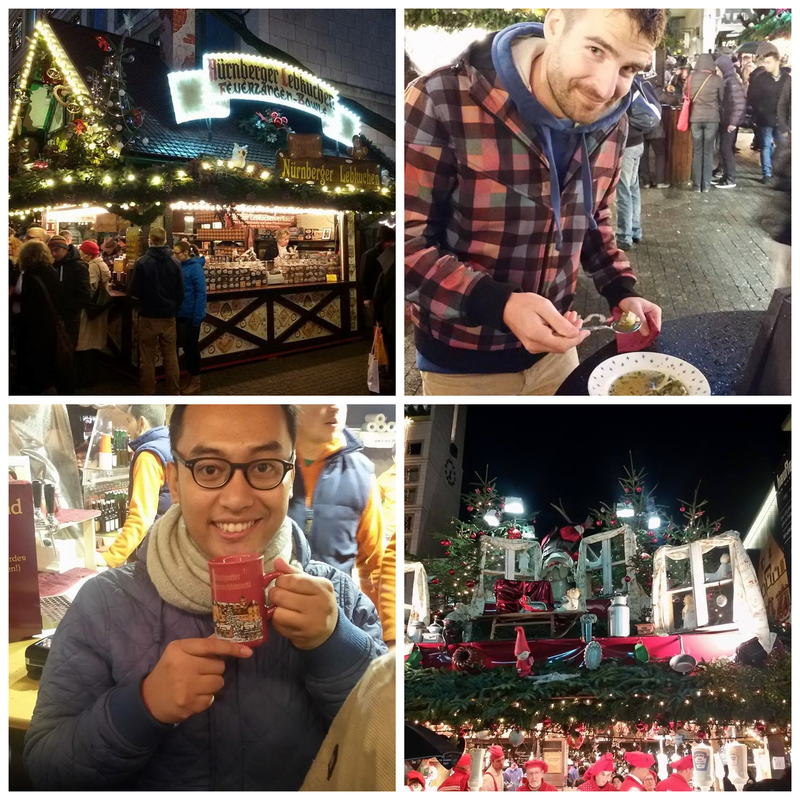 When I arrived in Stuttgart and went to its beautiful Christmas market, I found love in my very first sip of glühwein. It was warm, spicy, and strong. I really enjoyed Stuttgart and its dreamy Christmas market. My friend, Domey, is a Frisbee player (yeah, I had no idea that in Germany, Frisbee was more than a beach sport for dogs). 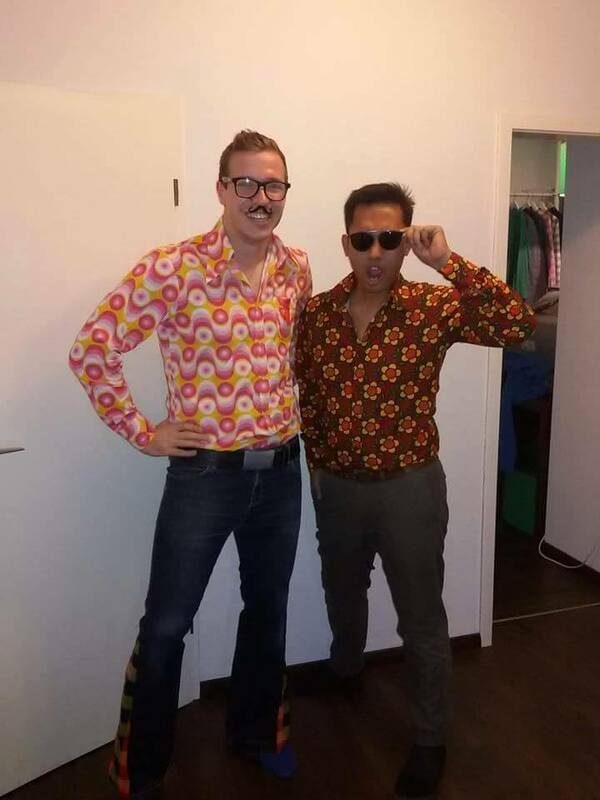 He had a tournament in Karlsruhe, an hour from Stuttgart, and asked me if I want to see and stay there for a night with his rugby buddies. I said yes, then we departed to Karlsruhe (he drove me, of course it was free) bringing his sleeping bags because we’d sleep on the Frisbee court with more than 100 other athletes. It was never on my plan, but sounded so cool. And indeed, my night in Karlsruhe was pretty awesome. After the tournament ended, all of us took a tram to go to a spectacular night club. Why spectacular? The club played 90’s songs all night, including tracks from Spice Girls, Britney Spears, and *NSYNC. Once an hour, the bartenders did a dancing attraction with Backstreet Boys’ Everybody. They even named the cocktails Kool Kevin, Amazing AJ, Naughty Nick, Horny Howie, and Baby Brian. Too much fun, because I tried them all! 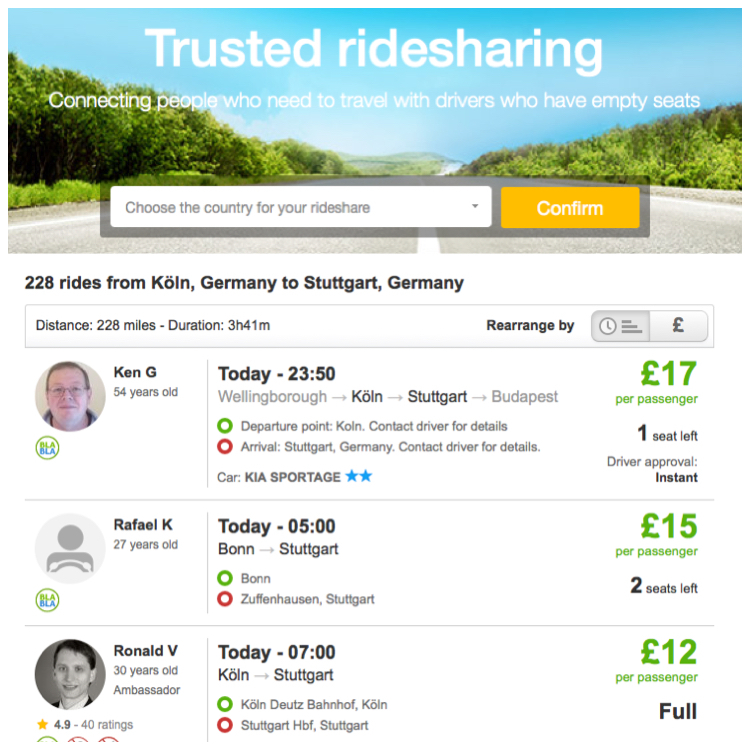 The morning after, I used BlaBlaCar again to get a ride from Karlsruhe to Würzburg ($9). My driver was a German woman who couldn’t speak English at all. Haha! We spent 3 hours in silent, with Beyonce’s latest album from the car audio. The trip was fine; and from Würzburg I took a 20-minute train ($5) to Ochsenfurt, a small town in Bavaria. There, I stayed at a local’s house for free that I found from CouchSurfing. The house owner was Max Langer, an amazing cook and tour guide. He brought me wandering the beautiful town and even partying in Würzburg as Ochsenfurt didn’t have so much things to offer at night. Hey, don’t worry! The story doesn’t end here. Click the second part of this blog post to find out how I continued and finished the journey. The article will reveal how I got a ride from Berlin to Paris for $0 (normal cost: $310). Try try try! And let me know how it goes. Ah, I want to go to Koln!!! You should! It’s a very pretty town by the river.